An initiative by Speak Greek has just been launched! 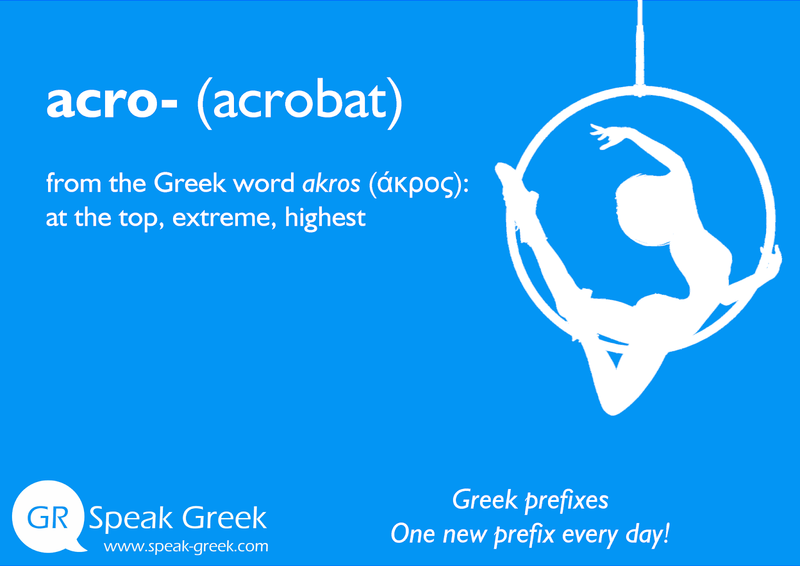 A new Greek prefix every day will be posted on our facebook page under the hashtag #GreekPrefixes. 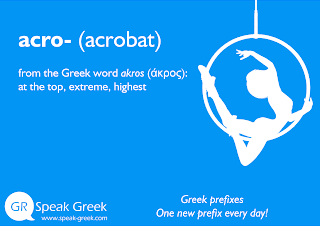 from the Greek word akros (άκρος): at the top, extreme, highest.